It’s been four years since the last World Cup, and since that time, a lot has changed in terms of TV-viewing and technology. The most recent Super Bowl and Olympics set new records for ways the sporting events were watched, and the current World Cup is no different. This year, however, streaming and social media are playing a larger factor than ever before, and 4K is providing a new kind of quality. Already, ESPN has made several achievements. The 6/16 United States-Ghana game was declared the most-viewed soccer match in the channel’s history, with 11.09 million television viewers observed by Nielsen and an overall rating of 6.3. But on 6/22, this new high was shattered during the United States-Portugal match, which received 18.22 million viewers and a 9.1 overnight rating. While the U.S.-Portugal numbers have not been released for the WatchESPN app, U.S.-Ghana was marked as the largest event for streaming with it – 1.4 million users dedicated 62.4 million minutes to their connected devices. Akamai Technologies, an online content-delivery network, saw new gains in streaming traffic. The Germany-Portugal game utilized 4.3 terabits per second of bandwidth – the previous record was 3.5 Tbps during the 2014 Winter Olympics. Univision has also made strides in viewership – the first 20 matches have seen an average of 3.6 million viewers, with 6.8 million watching the Mexico-Brazil match. The network is streaming the first 56 games on its website and app for free. “This World Cup will be by far the most successful sporting experience that we’ve had on our air,” said Juan Carlos Rodriguez, president of Univision Deportes. According to research firm Ovum, this World Cup is the most approachable for viewers – the matches have proliferated across approximately 5.9 billion screens across the globe. “With the likes of tablets providing the convenience and flexibility to consume content whenever and wherever, fans are able to watch more of the tournament than ever before,” Ted Hall, Ovum senior analyst, stated. CNN reporter Steve Almasy even recommended utilizing more than one screen to keep track of games that occur simultaneously. Other avenues that are performing strongly are social media outlets Twitter and Facebook. Twitter brought back “hashflags,” first introduced in 2010, to provide users with a colorful way of supporting their favorite team. Tweeting a specific country code causes the relevant flag to appear in one’s post. They’re tallying all of the country mentions in a World Cup of Tweets to determine a winner. Twitter also announced a #WorldCup feed for second-screen users to keep track of game-related online conversations, while Facebook unveiled a Trending World Cup site. 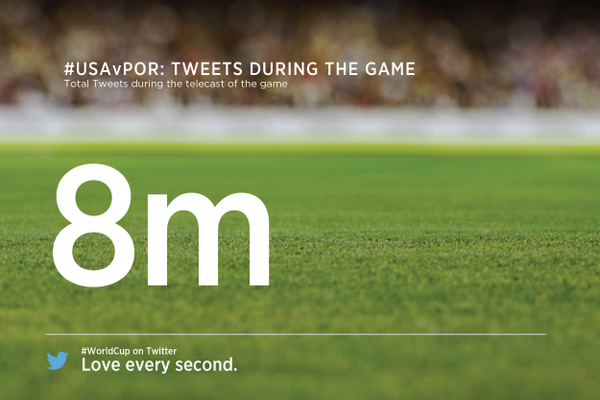 Over 12.2 million tweets were discharged during the Brazil-Croatia match. From June 12-18, over 459 likes, comments and posts occurred on Facebook. "Facebook and the World Cup are both fundamentally global, and we knew that Facebook would become a global, mobile stadium where people connect and engage during the tournament. It turned out to be a unique moment for us, and one that has seen the highest level of conversation for any event Facebook has ever measured,” a spokesman told CNN. 4K is a relatively new technology, and broadcasters and television-makers are using the World Cup tournament to experiment with and promote the costly ultra-high definition format. It is the first time ever matches are aired in this way. The BBC is broadcasting three games in 4K UHD, as is Brazilian network Globosat, which are to be produced by Sony and later included in an official documentary. Meanwhile, Samsung is hoping to attract curious consumers. “We expect the demand for TVs to increase considerably due to the upcoming World Cup matches,” said Samsung VP Simon Sung. 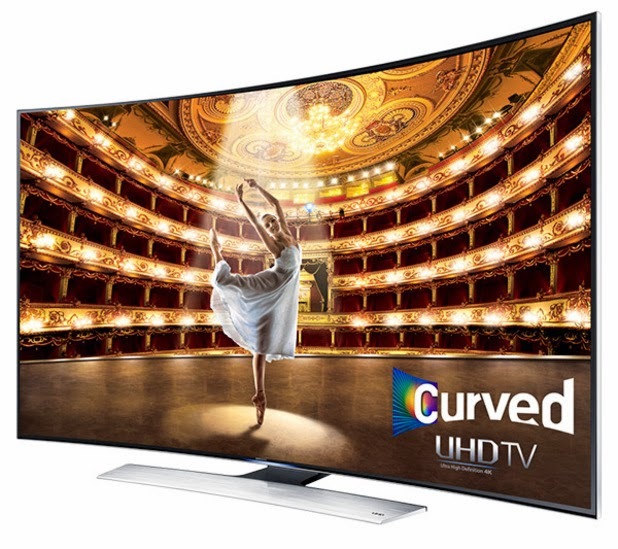 The South Korean company’s latest set – the UE65HU8500 Smart 3D 4K Ultra HD 65" Curved LED TV – was described as the “absolute best” for the World Cup by tech site Digital Spy. The TV offers a “Football Mode” (“Soccer Mode” in some countries) designed to alter picture and sound quality, causing players and the ball to be clearly enhanced on the screen. “The processing engine analyzes the action from the game, paying particular attention to the commentators and the scoreboard, and automatically records the key highlights so you can go back and watch them again,” Brad Wright, Samsung executive, revealed. If 4K success occurs with the World Cup, it seems likely other sports may receive special features as well.